If you’ve been considering a trash compactor or a cardboard, plastic or dual chamber baler purchase, now is the time to act. The Orwak Try and Buy Program is as simple and easy as it sounds. Step 1: Contact us for a free analysis. 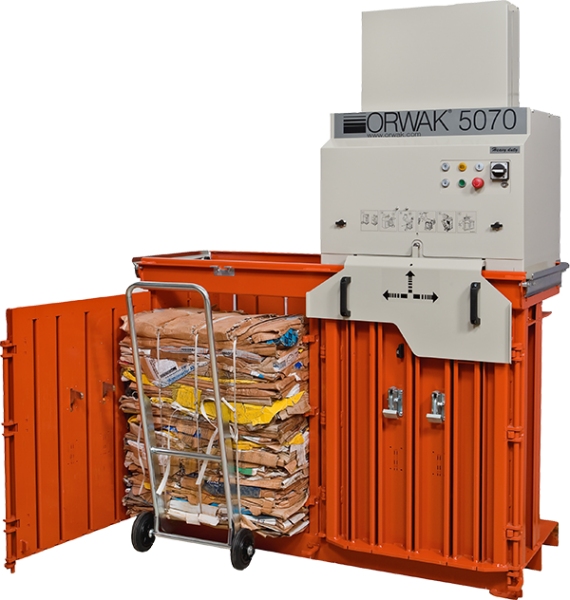 Orwak North America offers over 20 types of balers and compactors. Together we'll determine which baler or compactor is right for you. Step 2: We'll arrange delivery and installation of an Orwak compactor or baler at no cost to you for 21 days. Step 3: Enjoy your Orwak baler. Step 4: At the end of the 21 days, it's time to review your baler's impact on trash removal costs. Step 5: Rent, buy, lease or return your Orwak baler. *Please note: Shipping costs apply for returned balers. 3 - Have an Orwak Rep Contact Me!